Chili is great! It is great for warming you up when it’s cold. It’s great for serving over hot dogs, if you are so inclined. It also freezes well, if you want to make ahead or if you have leftovers. You will need a Dutch oven. Add two tablespoons olive oil to your Dutch oven and heat up. When it is hot, add the meat and cook for a few minutes until browned. You might need to cook it in batches. Put the meat in a bowl and pour off the fat if there is any. Venison is very lean so you may not have any or much. Slice the bacon into 1/4 inch pieces. Add the rest of the oil to the pan. Add the bacon pieces, onions, and garlic. Cook over medium heat until the onions are soft. This takes about 5 minutes. Stir in the bell pepper and jalapenos and cook another few minutes until they are soft. Mix in the chili powder, cumin, salt, pepper, and the cayenne pepper. Add the tomatoes, tomato paste, venison, broth, and water. Bring to a boil than turn the heat down to low. Simmer for 1 hour and 15 minutes. Add the beans and cook another 15 minutes. Great with cheddar cheese and sour cream. Makes enough for 8-10 people. You can also use other ground meat. It is excellent with ground turkey. 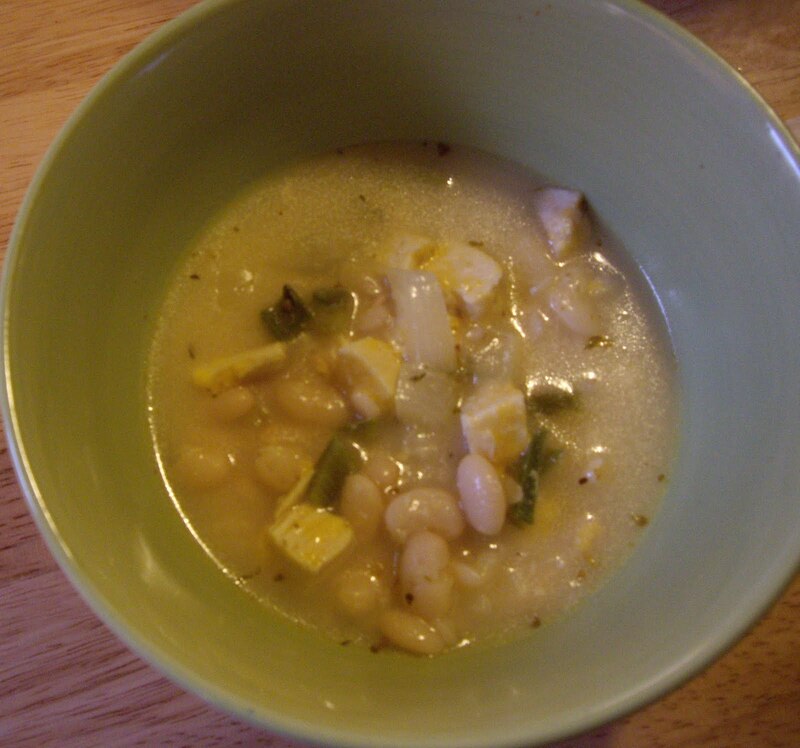 I cook my own beans and sometimes use the bean broth for part of the water. This is a somewhat unconventional chili. It is made with chicken, white beans, and cheese. 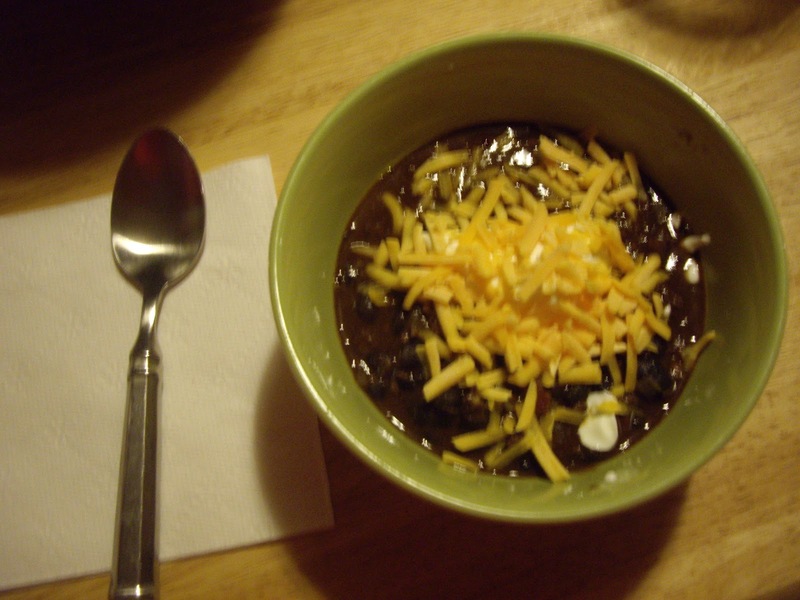 It is great on a cold day and it makes a ton so it is perfect for gatherings or leftovers. You make it in the crockpot. You will need a large crockpot. 4 skinless, boneless chicken breast halves. Add the chicken and water to the crockpot and let it cook on low for 3-4 hours. Remove chicken from the water, cube and set to the side. While the chicken is cooking saute the onion and garlic in the oil. Add the chili and jalapeno peppers, cumin, oregano, cayenne, and salt. Cook and stir two minutes. After removing chicken from the crockpot add the onion/pepper mixture. Add the beans. If you are using canned pour straight in, if you are using beans you cooked drain before adding to the crockpot. Cook on low for an hour. Stir in the cheese until it is melted in. This makes about 10-12 servings. Great served with sour cream. 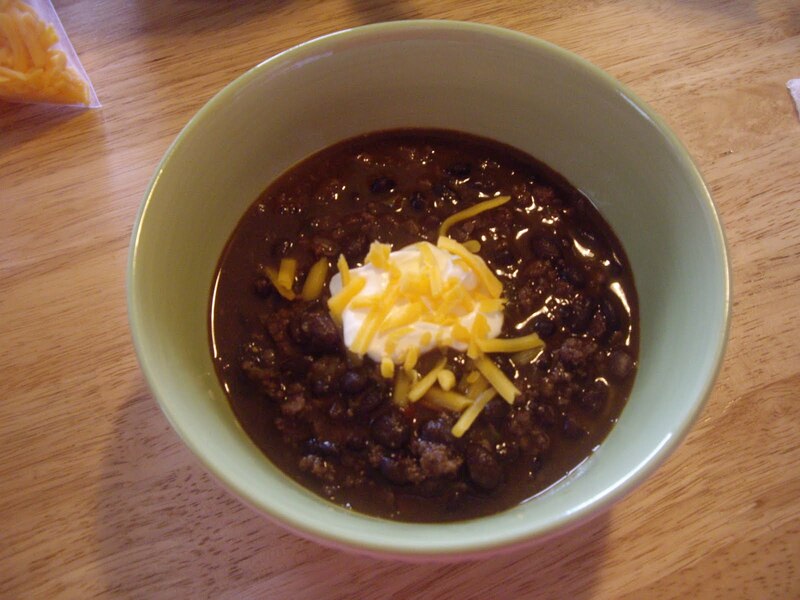 What could be better on a cool day than a bowl of chili? For chili lovers, not much. I used to always make chili using store bought chili beans. But, I would buy dry beans for this recipe or that and I had a lot of them so I decided to try using them in my chili. And I am glad I did. Yummy!!!! You will need a 3 quart or larger pan. If using the dry beans, soak them out and cook. When the beans are about halfway done, season with salt, pepper and about a 1/2 teaspoon chipotle powder and 1/2 teaspoon chili powder. Add some of the onion. If using the canned beans, add the seasonings and onion to them and simmer together for 10-15 minutes. Do not drain the beans. Meanwhile, cook the ground turkey with the remaining onion and chili pepper. Season with salt, pepper, and chili powder. Drain the meat and add to the beans. Add the chopped potato now, if using. Add 1-2 teaspoons chili powder. Add 1 teaspoon chipotle powder. Taste and add more if you like. Turn the heat to medium-high and bring to a boil. Turn down the heat and put the cover on. Cook on low for 2 hours or until the chili is as thick as you would like. Serve with sour cream and shredded cheddar cheese and maybe some crackers.